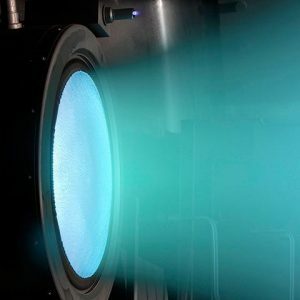 The Electric Propulsion Laboratory (EPL) supports research and development of spacecraft power and electric propulsion systems. 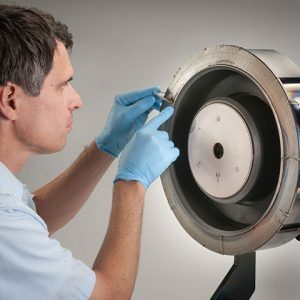 The staff of EPL have been supporting electric propulsion and power system testing for over 40 years. 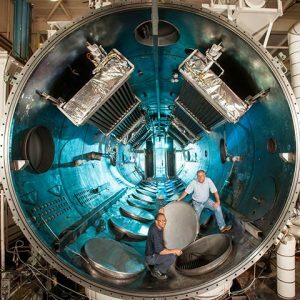 Post Ion Engine Test Documentation of Tank 5 Interior. 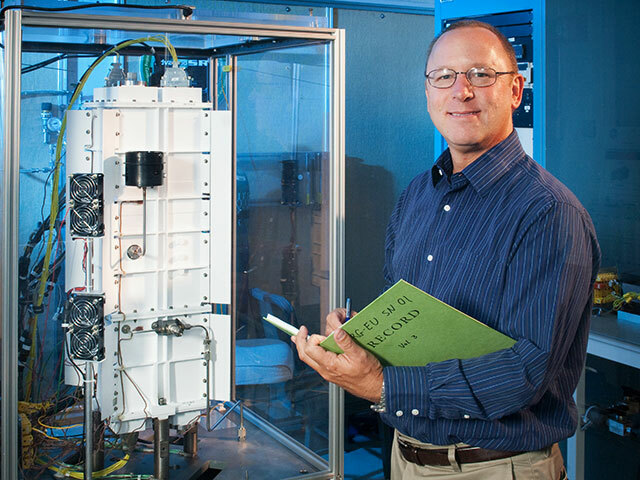 The Electric Propulsion Laboratory (EPL) supports research and development of spacecraft power and electric propulsion systems. 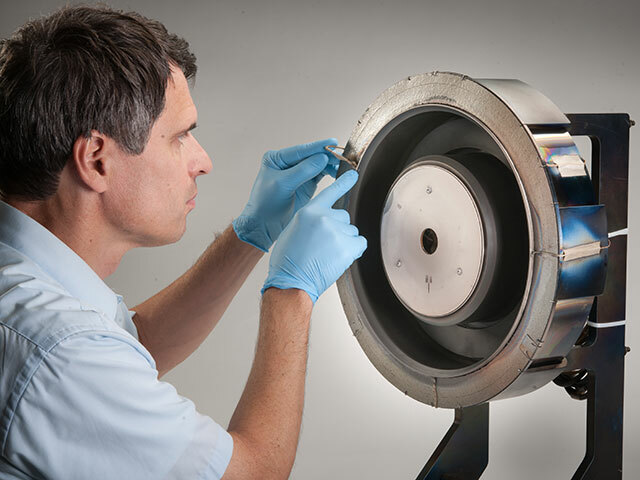 EPL features two very large space environment simulation chambers; intermediate and smaller environment simulation chambers suitable for testing small engines or components; bell jars used for development and small-scale component testing; and support areas including an electronics shop, machine shop, clean room, and office space. 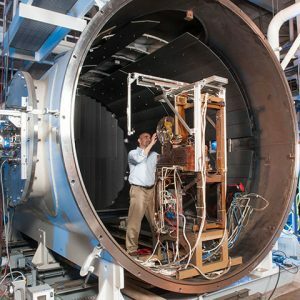 The space simulation chambers have been enhanced to support the unique requirements of electric propulsion and power system testing. 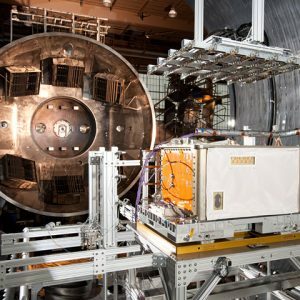 VF-5 cryopumps 3.5 million liters of air per second with its 33.5 sq meter of 12 K helium cryopanels. 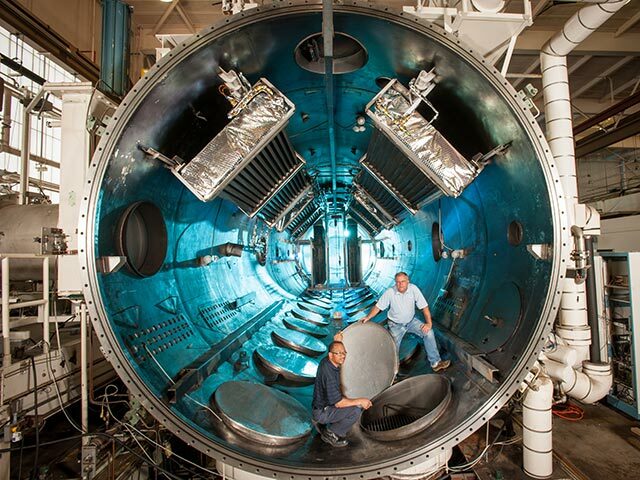 Several of the chambers have multiple air-locked access ports. 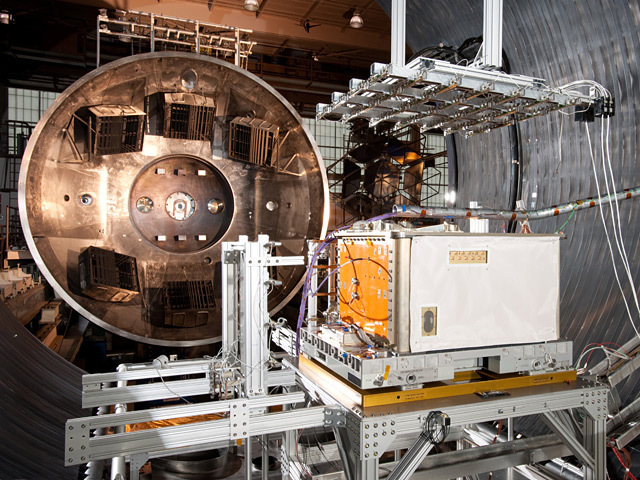 These ports allow several tests to be conducted simultaneously in each chamber without cycling the chamber back to atmospheric pressure during introduction or removal of test hardware. 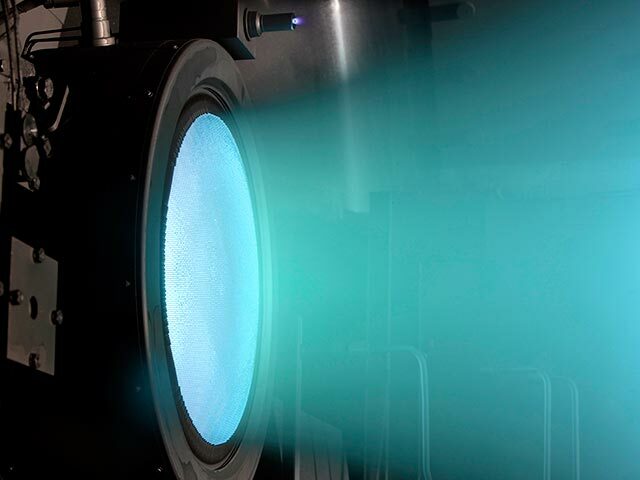 Conditioned DC power is supplied to VF-5, VF-6 and VF-12 for powering ion, hall and MPD thrusters. 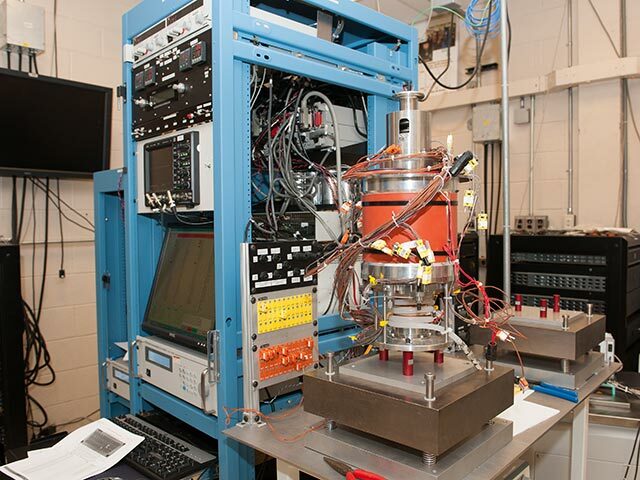 Fission Surface Power Technology Demonstration Unit. 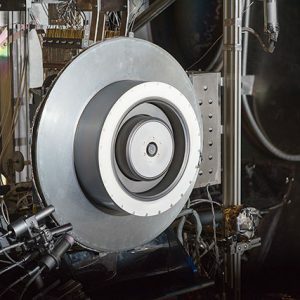 The staff of EPL have been supporting electric propulsion and power system testing for over 40 years and have developed technology leading techniques with precision thrust balances, thruster erosion diagnostics, plume characterization, and EMI/EMC. 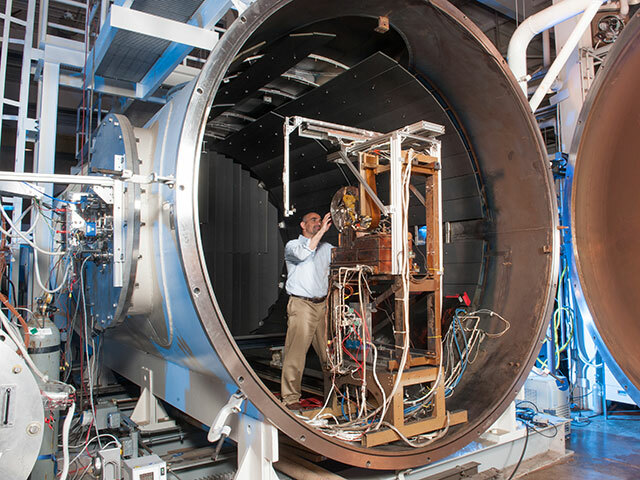 The EPL features space simulation chambers that have been enhanced to support the unique requirements of electric propulsion and power system testing. 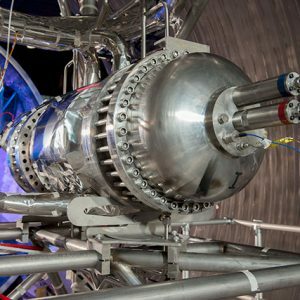 The EPL can support all phases of propulsion or power system testing of flight ready hardware from TRL 2–7. 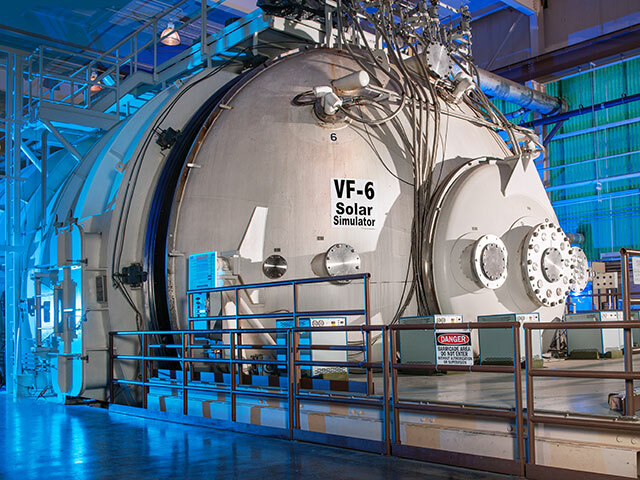 The VF–5 cryopumps 3.5 million liters of air per second with its 33.5 sq meter of 12 K helium cryopanels. 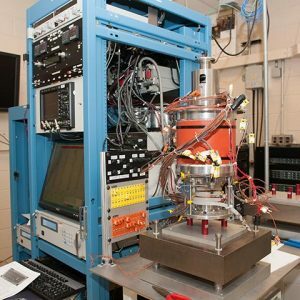 The EPL has supported such programs as Prometheus, Energetic, the International Space Station (ISS) and the Jupiter Icy Moon Orbiter (JIMO). 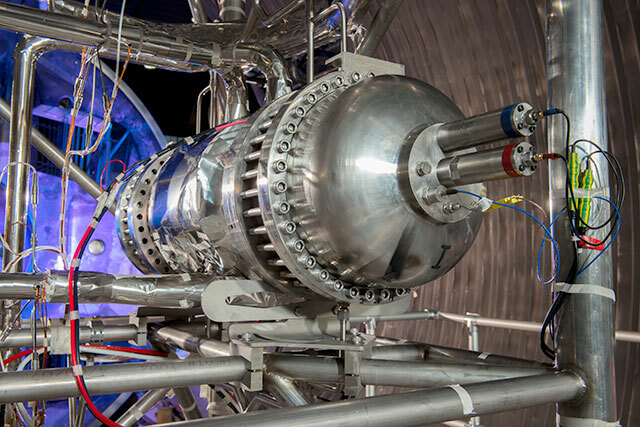 Several of the chambers have multiple air-locked access ports that allow several tests to be run simultaneously in each chamber without cycling the chamber back to atmospheric pressure during introduction or removal of test hardware. 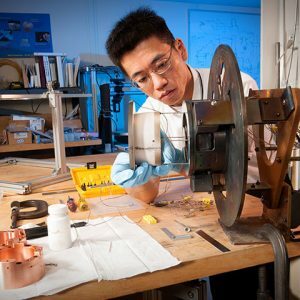 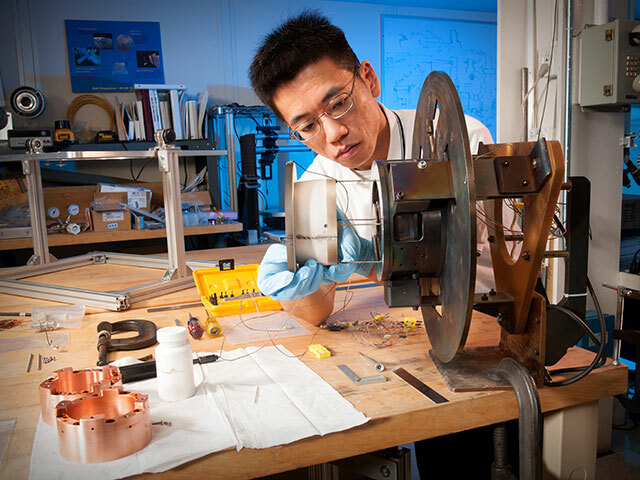 Environmental Portrait of Electrical Propulsion Researcher Wengsheng Huang. 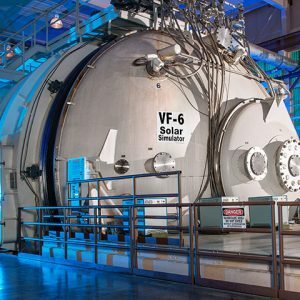 300M Magnetically Shielded Hall Thruster, Post Vacuum Facility 5, VF5 Tests. 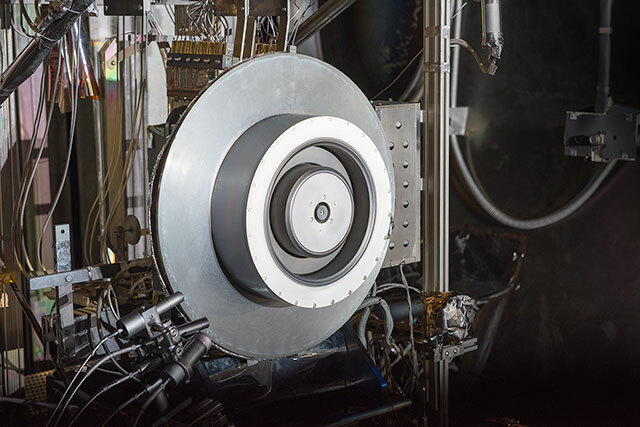 NASA’s Evolutionary Xenon Thruster (NEXT) Project has developed a 7-kilowatt ion thruster for deep space missions. 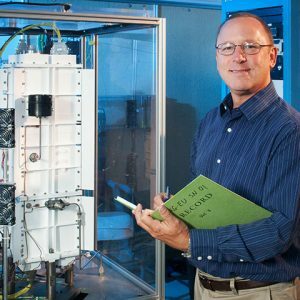 Communication, Navigation, and Networking Reconfigurable Test-bed (CoNNeCT) in the Electric Propulsion Laboratory.